This is a 34.5mm. 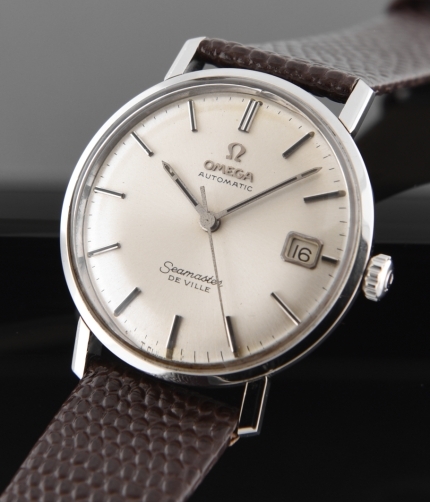 stainless steel 1960’s OMEGA DeVille with date. These watces are VERY sought after right now, with some selling as high a $1900 on ebay. 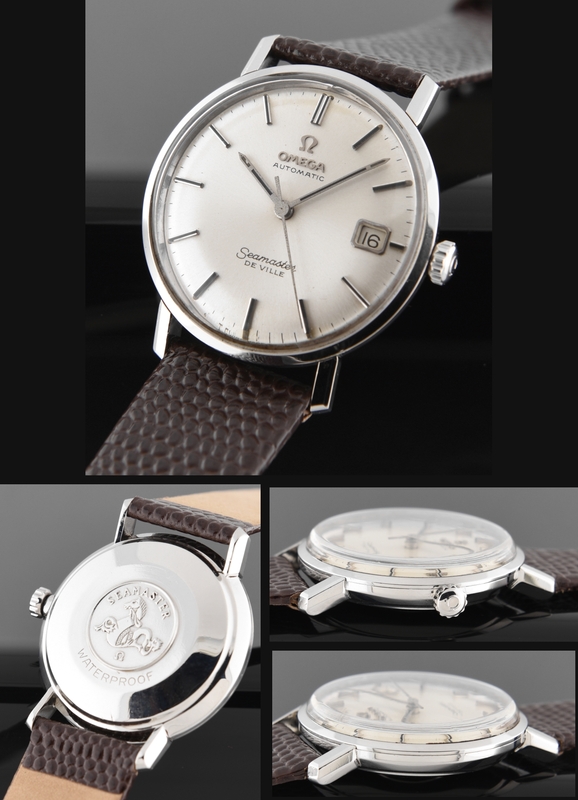 This silver dial is pristine and original. The sea monster embossed case looks excellent and retains the original winding crown and signed OMEGA crystal. The OMEGA automatic movement was cleaned and is accurate. These watches lie sleek and slender on the wrist.